Growing up, I would always document and record events that seemed meaningful. I shot hundreds of blurry pictures and recorded hours of news footage onto VHS tapes. Over the years, I have collected drawers full of old newspapers, notes, videotapes, and photos. I documented everything so that long after the event passed, I would have evidence of its existence. I was scared to forget, and collecting was my way to keep everything from disappearing. For the past seven years, I have been working with family photographs, taking them out of context and manipulating them to mean something completely new. 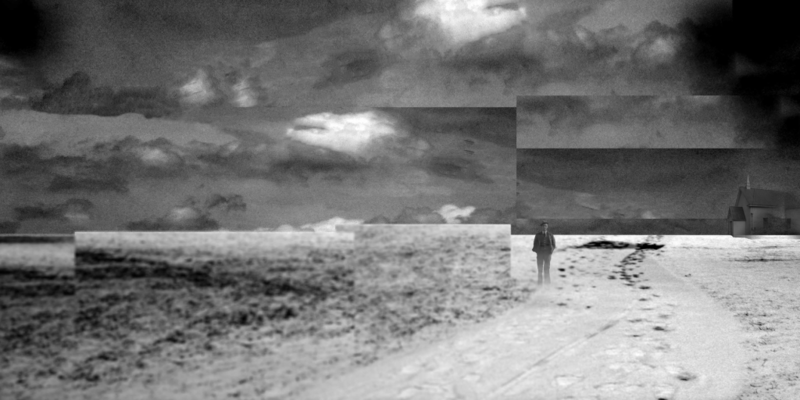 Much of my work has been in digital collage, using family photographs both from my own family and ones found in yard sales and thrift stores to explore the unreliability of memory. I work with these often lost or forgotten images in an attempt to remap life, blurring the past and present while examining place and identity within family history. Similarly to the mission of Save Family Photos, I believe that family photos are the gateway to the past, telling untold stories and preserving history for future generations. For the past century, photo albums and shoe-boxes have been filled with snapshots, chronicling the history of families that were then passed on from generation to generation. These albums have preserved family genealogy through images, providing glimpses into the past not only concerning the legacy of family, but of culture. However, in the past decade, the shoe-boxes have been traded for pixels, the albums for Facebook, Instagram, and Flickr. Although family photographs were once carefully cared for and curated, often only viewed by a handful of people, today, these images can be accessed instantly and worldwide. 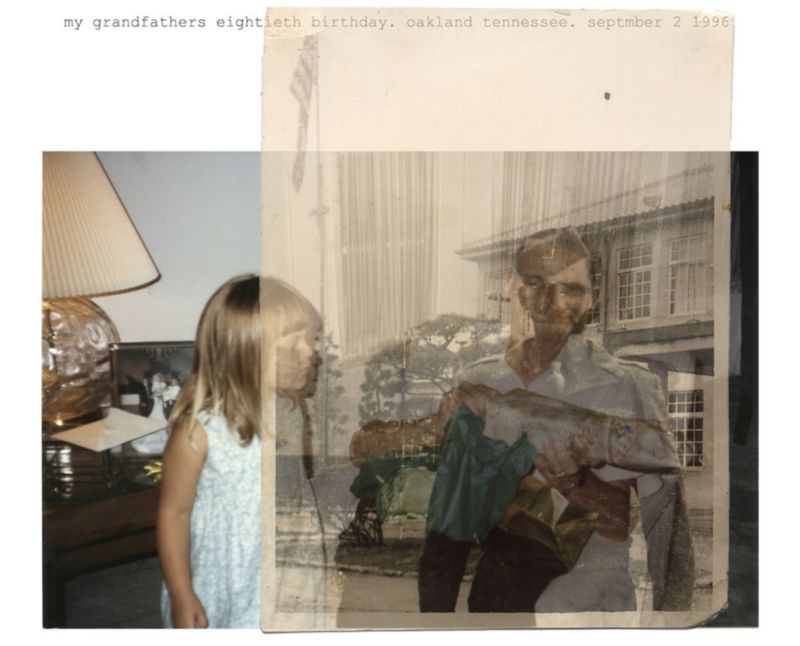 I am currently working on a large-scale data visualization project for my Master’s thesis project, chronicling the history of family photography. 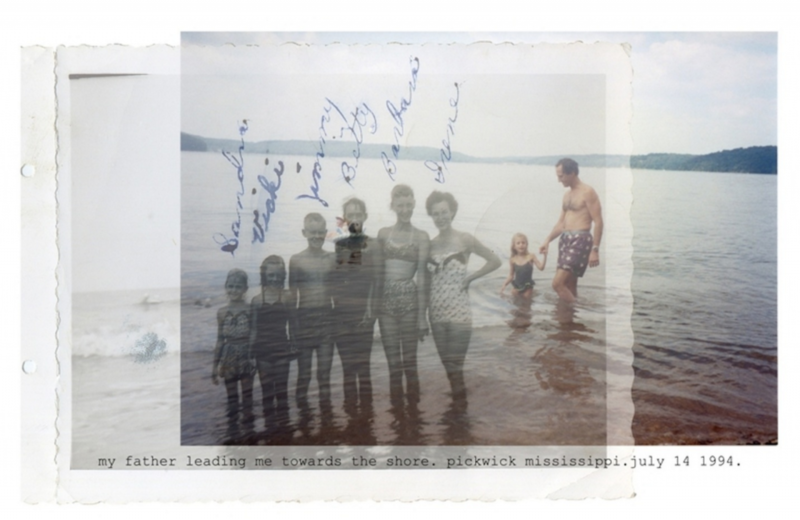 While my previous work has focused on the unreliability of personal memory within family photos, this project is focused on the importance of family photographs (even the forgotten or abandoned ones) and how they have impacted our cultural memory over the past century. I am curating collections of family photographs spanning the past 100 years of American history, and will focus on the clues and contexts that can be ‘read’ from the images. The project will culminate in an interactive website where people will be able to explore the history of family photography. As photography and our entire way of documentation is undergoing rapid changes with the digital form, it is imperative that we begin to try and understand the ramifications that this new form is having. While I have some ideas about what I will find when I look at 100 years of family photos side by side, I am curious to know what you think. Do you think family photos are an important tool in preserving history? Are social media sites like Facebook and Instagram influencing the way we record our families? Is this helping us to not forgot our genealogy and pasts? Leave your thoughts in the comments below or send me an email- I’d love to chat with you! Lexi is a visual storyteller and interactive designer who is currently studying as a Roy H. Park Fellow at UNC’s School of Media and Journalism. 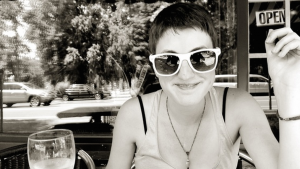 She is interested in the intersection of journalism, technology, and the digital humanities. While she comes from a fine art and photography background, Lexi now spends most of her time utilizing code and design to create beautiful things for the internet. PS: She is also looking for someone who uses Instagram as a new-age family photo album (as part of her Master’s thesis). If you are at all interested, follow her on Instagram or Twitter. Or better yet, email her: lexinamer@gmail.com! Love evERything about this! I also studied thIs concept for my thesis project in university. Looking forward to Seeing how your project develops! Awesome! Thanks for reading this brilliant post, Ashley. Go look at these websites: Ali Edwards.com, CZDesign.com, Becky Higgins.com (and there are many more) for visions of how many, many people are preserving family stories with photographs. Personally, I document my family’s story on a weekly basis with words and Photos.